This Hurricane is back on the radar. 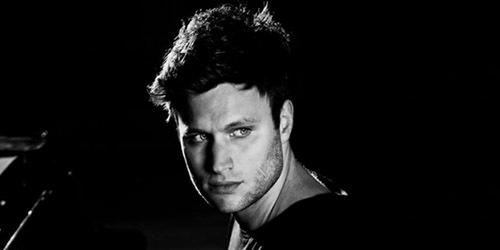 It was back in August that Jamie Scott spent his final of four weeks at #1 with “My Hurricane”, the title track from his forthcoming album. Now, he’s back with his second solo chart-topper in “Unbreakable”, which advances 2-1. It’s the fourth total #1 for the 30-year-old British performer, who also scored two in a row with Graffiti6 in 2012. Scott still has three songs on the chart this week, with “Hurricane” at #15 and his duo’s “The Bridge” at #36. If you’re looking for big movers on the countdown, you’re out of luck, at least this week. There are four songs tied at a movement of five spots upward, with an additional three songs up four spots. Maybe there will be some shaking up on the next chart. However, James Blunt, Olly Murs / Travie McCoy and Take That all look top 20 bound in the coming weeks, while One Direction could break the top ten. This week’s Highest Debut saw a video premiere this week: it’s “27” by my top artist of last year, Passenger, bowing in at #38. This marks the third release to chart from his album Whispers, following “Scare Away The Dark” (#1) and “Heart’s On Fire” (#9). The singer and songwriter is currently on tour on Europe and heads to Australia in 2015. Also debuting with a third single is Ed Sheeran, in at #39 with “Thinking Out Loud”, from the album X. Though the song isn’t actively being promoted in the U.S. while “Don’t” continues to build at radio, “Loud” is #1 in Australia and New Zealand and top five in the United Kingdom. I’m sure it will smash here during the spring. Finally, at #40, is the latest from the those Golden Gate guys, the band Train. Their second single from Bulletproof Picasso is “Cadillac, Cadillac”. The luxury car previously rode into the top 40 on the Hot 100 for Michael Martin Murphey and Natalie Cole, and perhaps the band’s new one will drive the same route. They’ve got friends in bro places. Other releases out this week include: Andrew McMahon In The Wilderness‘s Andrew McMahon In The Wilderness (iTunes), Angaleena Presley‘s American Middle Class (iTunes), Bob Seger‘s Ride Out (iTunes), Exodus‘s Blood In Blood Out (iTunes), Fit For A King‘s Slave To Nothing (iTunes), Idina Menzel‘s Holiday Wishes (iTunes), Mary Lambert‘s Heart On My Sleeve (iTunes), Michael Feinstein‘s Christmas (iTunes), Nico & Vinz‘s Black Star Elephant (iTunes), Oh Honey‘s Sincerely Yours (EP) (iTunes), OK Go‘s Hungry Ghosts (iTunes), Ozzy Osbourne‘s Memoirs Of A Madman (iTunes), Renée Fleming‘s Christmas In New York (iTunes), Sammy Hagar‘s Lite Roast (iTunes), Stars‘s No One Is Lost (iTunes), The Dubarrys‘s The Dubarrys (EP) (iTunes), The Game‘s Blood Moon: Year Of The Wolf (iTunes) and The Swon Brothers‘s The Swon Brothers (iTunes). It’s another mixed bag on the schedule next time, with Aretha Franklin, Little Big Town, Neil Diamond, Slipknot and Susan Boyle among the week’s top contenders. A full preview is coming in seven! Swiftly taking the top again. In just under a month, the latest release from Maroon 5 leaps to #15 as “Animals” claims the week’s Biggest Mover title, up seven spots. It’s the second single to chart from V; it follows “Maps”, and that former #2 is located back-to-back with it at #14. Will the animal kingdom devour its competition and take control of the chart throne? They are certainly hungry for more and could do it. After charging into the chart last week at #30, One Direction climb modestly this week with “Steal My Girl”, up to #25. It just missed debuting in the top ten on the Hot 100, coming in at #13. Should it rise there or make the top ten at CHR radio, it will join only a few titles to “steal” a place that high, like Robbie Dupree‘s “Steal Away” (1980) and Len‘s “Steal My Sunshine” (1999). Also dancing onto the countdown is the latest single from former quintet turned quartet turned quintet and now trio Take That. 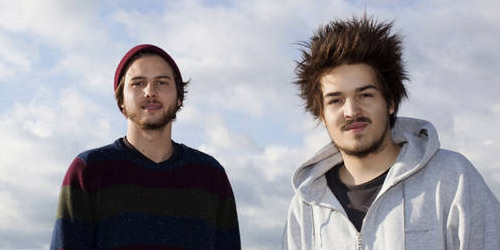 “These Days” jumps aboard at #40, the first release from their appropriately titled forthcoming album III. 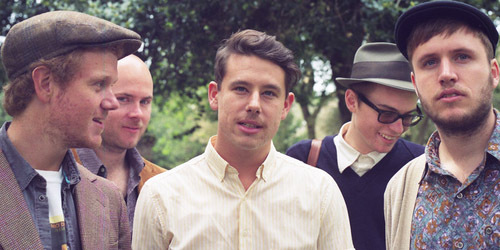 Last time out in 2011, the group hit #18 with a song called “When We Were Young”. It started with “Love Story”, then “You Belong With Me” and then “Mine”, and now Taylor Swift earns her latest and fourth #1 on my chart with “Shake It Off”, advancing 2-1 in only its seventh week. “Shake” leads off 1989, due on October 27 in what very well could be the largest opening week of 2014. Of course, we are all curious if this will be Swift’s third consecutive million seller within that first frame. Stay tuned! In a pretty packed week with five new entries on the chart, One Direction leaps in at #30 with the Highest Debut, “Steal My Girl”. 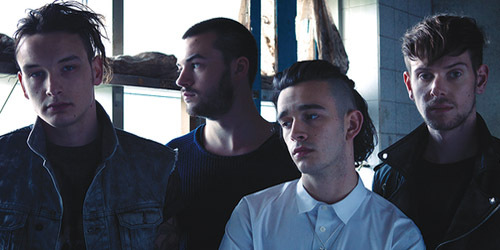 It’s the first release to be issued from their forthcoming album Four, due on November 17. “Steal” marks their 12th song to reach my top 40, seven of which have gone top ten. The biggest, “Story Of My Life”, held the #1 spot for three weeks in December. 27-year-old German DJ Robin Schulz has really made a name for himself in 2014 with several hit remixes across the European charts. His recent #1 in the United Kingdom, a remix of a four-year-old recording by Lilly Wood & The Prick called “Prayer In C”, is new this week at #34. The single now begins its quest at radio here with adds in several major markets this far. Further down, singer/songwriter James Blunt comes in at #38 with “When I Find Love Again”. It’s his 11th entry to make my chart, two of which went to #1: “You’re Beautiful” in 2005 and “Stay The Night” in 2010. 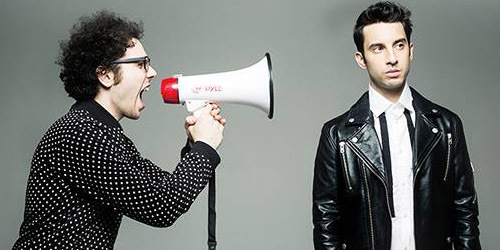 Below him is Charli XCX, new at #39 with “Break The Rules”, the followup to “Boom Clap”. 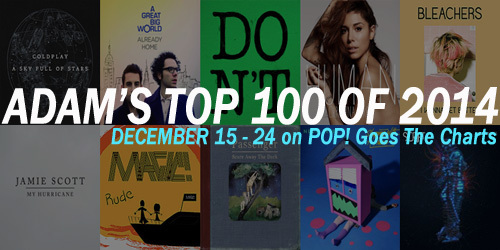 Lastly, newcomer Eden XO bows in at #40 with “Too Cool To Dance”. 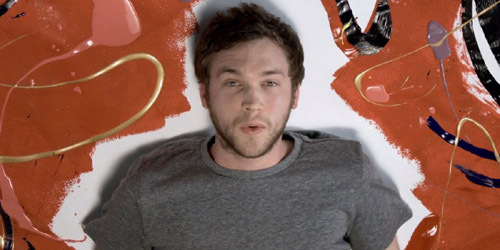 On next week’s survey, watch out for potential debuts from Olly Murs, along with Travie McCoy on “Wrapped Up”, and Passenger‘s latest single, simply called “27”. What other surprises does Q4 have up its sleeves for us? I guess we’ll have to wait and see. Fightin’ crime for five weeks. 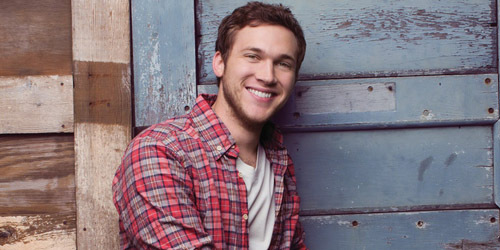 Up from 8-5 this week, Phillip Phillips garners his third top five hit on my top 40 with “Unpack Your Heart”. It’s the followup to “Raging Fire”, which climbed to #3 in April. Both singles are from his sophomore effort Behind The Light. Only one other male American Idol winner can claim as many top five hits and that is David Cook: in 2008 and 2009, “The Time Of My Life” (#1), “Light On” (#1) and “Come Back To Me” (#2) landed him that feat. 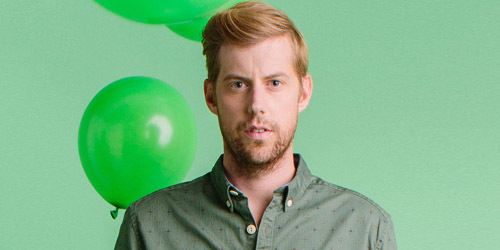 He never landed in the top ten as the lead singer of the band Jack’s Mannequin, but as Andrew McMahon In The Wilderness, the 32-year-old easily takes his latest single in there, climbing 14-10 in his eighth week on with “Cecilia And The Satellite”. The soloist’s self-titled album is due October 14 and several pre-release songs from the set, including newest release “Canyon Run”, are available now at digital retailers. After debuting last week at #40, the latest entry from Maroon 5 takes a hefty 12 spot jump to #28, “Animals”. It’s the second single to chart from the group’s album V and you’ve likely heard it in a commercial for the new Kia Soul model. Radio has been responding to it quite well in the past week and it should quickly rise to the top of the pack. 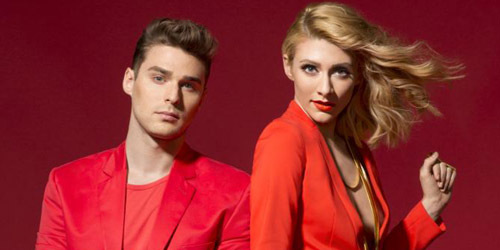 The only debut this week is from the Canadian band MAGIC!, new at #40 with “Let Your Hair Down”. It’s the act’s third time on the chart; “Rude” reached #2 in March, while “Don’t Kill The Magic”, the title track from their album, topped out at #26 in June. “Hair” is serviced to Hot AC radio next month. Next week could feature as many as five debuts in the top 40, with the majority of them by female acts like Charli XCX and Eden XO, both in the Top 10 Next In Line. Also, watch for the splashy debut of “Steal My Girl” by One Direction, which premieres on Monday. 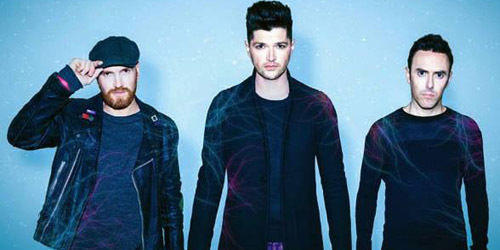 New at #1 this week is Irish trio The Script, climbing 2-1 with “Superheroes”. 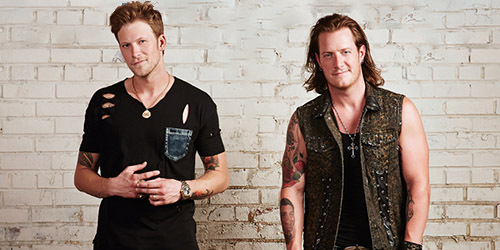 It’s their fifth single to reach the top of my chart and their quickest rise to the top at six weeks, replacing 2012’s “Hall Of Fame”, which hit #1 in its tenth week on. The song leads off their new album No Sound Without Silence, due in the U.S. on September 30. I’m sure it will be a great listen once it’s out, and perhaps give us a few more chart-worthy cuts. As if there was any doubt, last week’s big debut from Taylor Swift all the way up at #22 with “Shake It Off” translates into this week’s Biggest Mover, up 11 spots to #11. It’s the first release from her forthcoming album 1989, due October 27. Two songs with “shake” in their titles cracked the Hot 100 in 1989: “Shake For The Sheik” by The Escape Club (#28) and “Shake It Up” by Bad Company (#82). 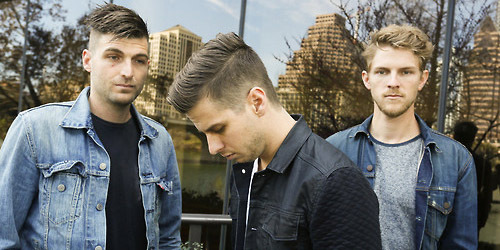 This week’s Highest Debut belongs to California’s Foster The People. Their album Supermodel may have fallen off the radar, but their third single from it enters this week at #39, titled “Are You What You Want To Be?” The two prior releases, “Coming Of Age” and “Best Friend”, both went top ten earlier this year. Will this single do the same? We shall know soon — stay tuned. Also, down at #40 in the latest entry for The Fray, “Hold My Hand”. It’s the third release from album Helios, though previous single “Break Your Plans” failed to go top 40. (It did reach the top 20 on the Hot AC survey.) “Hand” has also been a nationally charting title for Don Cornell (1954), Hootie & The Blowfish (1994) and Michael Jackson / Akon (2010).